At Hollywood Car Glass, we only use the highest quality tools and materials when you hire our expert, mobile car glass repair team to take care of your vehicle’s glass. It is because of this that we can guarantee that every auto glass replacement job is done correctly every time. All of our technicians are equipped to handle pretty much all auto glass situations that may arise on the busy Southern California roadways. There is not a make or model of either foreign or domestic automobile that our technicians cannot fix. One of the big advantages of being in business for so long, is that we have developed a deep relationship with all of the major auto glass suppliers. This allows our team to rapidly respond to your needs without introducing any delays in having to wait for the right manufacturer approved materials to arrive. You will also never have to worry about cheap, imitation, or second-hand glass being used by our techs. We only install new, manufacturer approved glass in our customer’s vehicles as your safety is our number one priority when working on your automobile. Don't look through a cracked windshield any more when you can easily find auto glass repair near me. Give us a call immediately to have your needs new replacement today. Our staff will guide you through our process and perform your auto glass service quickly and efficiently. Call today for more information or to receive a free estimate. You have nothing to lose and everything to gain. Our reputation is the only thing we have in this town and we all know how important it is to keep a great name and reputation intact. Give our team call today for a free quote with our mobile service where we come to you completely free of charge in the Hollywood area. 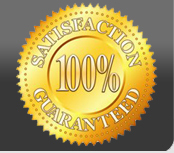 No hidden fees or service charges, and we guarantee that you will be extremely pleased with our work.